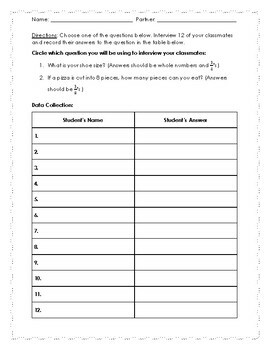 Students will choose from two survey questions to ask their classmates to collect data. Both questions require fractions as answers. 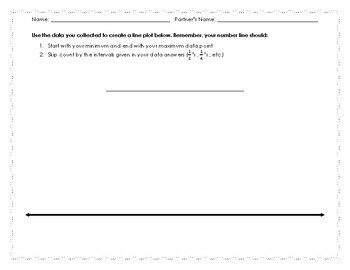 Students will then create a line plot using their collected data and analyze it by answering questions.